‎Walabot is one of the few smart devices that came into being ahead of their time. It is a magical 3D imaging detector that lets you see studs, pipes, figurines, and wires in the wall. Intelligence, smartness, efficiency, tech-savviness, and magically charming are the qualities that describe this amazing device. It links magnetically to your smartphone to allow for easy transportation and use. It includes a powerful sensor array that can efficiently penetrate deep into walls, metals, plastics, and wires that are up to 4 inches in width. 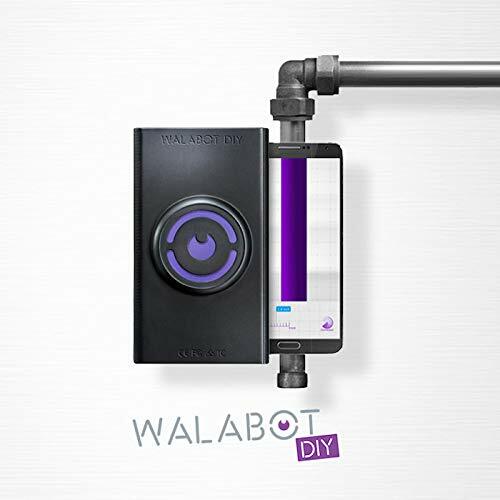 Strictly designed to be used together with the device, the Walabot DIY app provides you will real-time visual representation of the density of the objects detected behind the wall. What Can I Do With Walabot DIY? Walabot is a smart and multipurpose device that has unlimited uses and applications. It is one of the must-have devices for plumbers, construction engineers, house builders, and contractors. For those wondering how they can use the Walabot DIY smart 3D detector, I will outline some key areas the devices will perform best. The identification of the obstacles blocking the way while drilling holes in the wall. Detection of leaks, wires, and pipes in the wall. Discovering small to huge structural damages. Taking snapshots for offline applications. Enables you to locate the presence of studs to help you identify home studs. Penetrates deeply into opaque surfaces going up to 4 inches. Vayyar, the brains behind this 3D high-end and purpose-oriented device does not limit users to few usable features. Walabot is a featureful device that does miracles when it comes to creating 3D images of hidden objects in walls, metals, and plastic surfaces. When you buy the Walabot DIY 3D detector, these are the items you will get in the box. Despite being a technical and sophisticated device, Walabot DIY does not use complex working mechanisms. It is a user-friendly device that is incredibly easy to set up and use. The best thing about Walabot DIY is that it works via the assistance of an android mobile app. To get started, you have to download the app and install it in your android smartphone. Once done, you should then create a merchant account and pair the device to the app. Calibrating the device is one simple exercise you can do on your own. It operates the same way the traditional stud finders do so you aren’t going to experience any problems if you know how to use a stud finder. Though powerful and highly usable, Walabot is only compatible with android smartphones. It is good to realize that not all android devices will pair well with the Walabot application. Before you decide to buy this DIY android device, it is important to check out the website to know if your android smartphone is compatible with the app. It won’t make sense paying for a device that will require you to pay more to purchase another smartphone. What Is So Good About the Walabot 3D Detector? 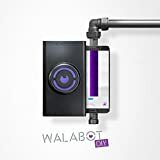 So many qualities and features make the Walabot 3D detector the perfect choice of a 3D detector for detecting studs and pipes in the wall. With the Walabot 3D detector, you get the same value you will get from other high-end imaging and stud finders. Besides being a powerful and highly usable device, Walabot is highly affordable. You won’t have to pay extra to get the device as it may be the case with other high-end 3D detecting devices. It is a compact and highly portable device. When it comes to size, it is an easily transportable and tiny 3D detector that gets the work done with little to no effort. It includes a magnetic casing which makes it easy for you to connect it to a smartphone for easy usability. What Are Areas That Require Improvement? It is only compatible with android devices. This simply means you cannot connect and use it with your iOS smartphone. The good news is, plans are underway to add the iOS compatibility feature on the device. The device costs a bit higher than expected. When in comparison with other high-tech tools, it is a bit higher in terms of pricing. Reducing the price to match the current market pricing could make it the perfect choice for many. It includes a not so helpful mobile app. There is nothing unique about the app. It does the same job of enabling you to adjust the settings for easy device usability. Thus, you don’t expect to benefit a lot from the use of the app in controlling the device. The mobile application does not fit well in all android devices. It only works best with the latest android mobile versions like 5.0 lollipops, 6.0 Marshmallow, and 7.0 Nougat. Based on studies and firsthand information from previous customers, the Walabot 3D detector is a secure and environmentally-friendly device that can be used safely under all conditions. It is the device you need to improve the quality of your home improvement and renovation results. There is no better tool those in the construction industry should not lack like the Walabot DIY. This amazing 3D detecting device is widely used all over the world to help contractors, plumbers, and construction experts identify obstacles while drilling holes for pipes and wires. It is proven beyond any reasonable doubt to be a highly useful and reliable 3D detector. Consider investing in one of these devices today and stand a chance to enjoy the benefits thereafter.